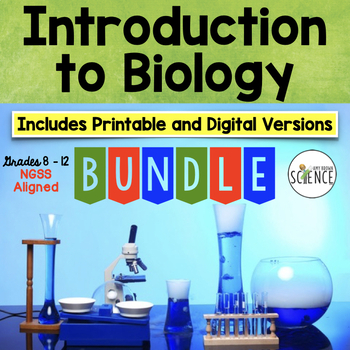 Introduction to Biology - A Complete Unit Bundle. 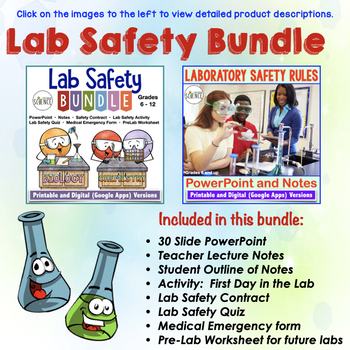 Lab Safety, Scientific Method, Graphing, Microscopes, Characteristics of Life, and more! 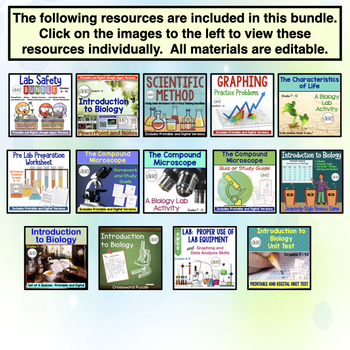 This unit provides everything you need (PowerPoint, notes, labs, activities, review games, homework assignments, tests) to start off the school year with your biology or life science students. Each of these products is sold separately in my TpT store, but buying the entire unit in one download will save you money. If each of these products were purchased separately, the total cost would be $50.71. This bundle is being offered at a discount of 25% off. This bundled unit contains at least 3 weeks of materials depending on how many lab activities you want to do. 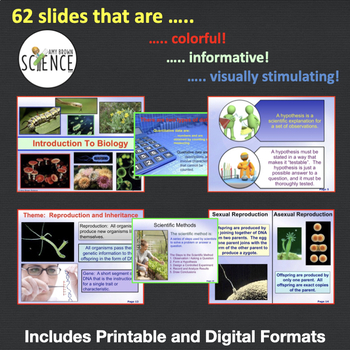 This unit has everything that a teacher needs to teach the first unit of the year to a biology or life science class. It covers the scientific method, graphing, the microscope, the characteristics of life, and much more. You will receive: A complete lab safety unit, 2 powerpoint presentations, teacher notes, student notes, 4 labs, a jeopardy review game, 5 quizzes, a microscope homework assignment, a crossword puzzle, a pre-lab worksheet, graphing practice problem worksheets and a unit test. Teacher Guide is included containing tips and suggestions, scope and sequencing, and alignment to NGSS standards.